All iPads come with a microphone so all can record audio right out of the box. It even comes with some software to get your started. The easiest way to record audio on iPad is to use the Voice Memos app (which is included with all iPads and iPhone). Once opened, Voice Memos makes it exceedingly easy for you to record audio. You can begin a new recording simply by tapping the red Record button. 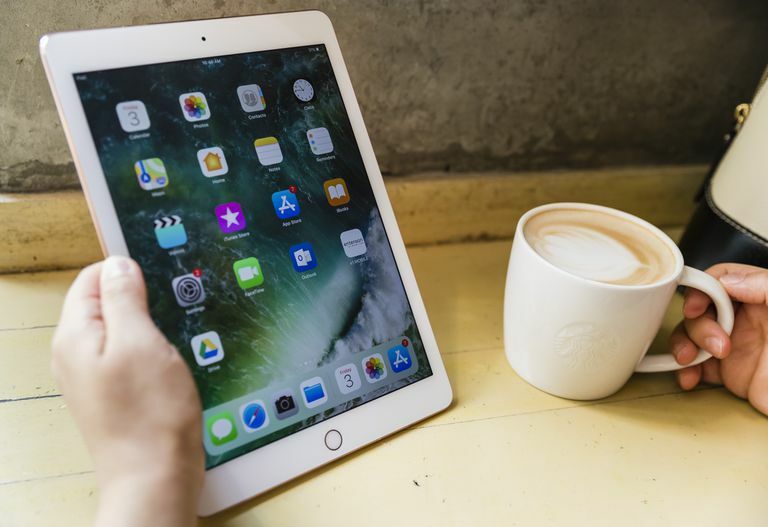 From there, you then ensure that your iPad is close enough to the sound source you wish to capture, before tapping the Pause icon to pause the recording, the RESUME button to resume, and then the Done button to finish. Voice Memos allows you to do a number of things to your recording once you've finished immortalizing it. For example, you can edit its name by tapping it (its name can be found under the "Voice Memos" heading in the top-left of the screen). You can also edit the recording itself, although your editing options are limited solely to shortening it. Under the "Voice Memos" column (on the left of the screen), tap the recording you wish to edit. Tap the Edit button (in the top-right corner of the screen). Tap the Crop icon (in the top-right corner of the Edit screen). Tap and hold either the beginning or end of the recording (as shown in the bottom of the screen), and then drag the beginning or end point to the desired location. Tap the Trim button (in the bottom of the screen). And if you're particularly proud of your recording, you can send it to someone else by tapping the Share icon, which can be found above your recording's name on the right-hand side of the main Voice Memo screen. In addition to using Voice Memos to specifically record audio of various kinds, a number of other native Apple apps enable you to record audio and then add it to a document or project you're working on. Here's how to record audio using Keynote, Pages, and Numbers (included free with your iOS device purchase, but might need to be downloaded from the App Store). Open a document, then tap the + icon, which can be found in the top-right corner of the screen. Tap the Record button (at the bottom of the screen) and begin recording. Tap the Stop button once finished. Finally, tap Insert (in the top-right corner) to add the recording to your document. The App Store is full of audio apps that are considerably more full-featured than what Apple offers. Some popular ones include Voice Recorder & Audio Editor, Voice Recorder Lite, High Quality Voice Recorder, and Voice Record Pro.